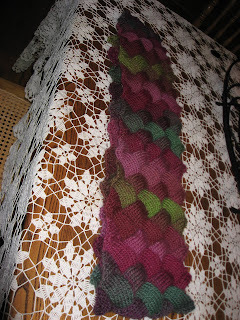 I finished my scarf and am quite pleased with it, although I am thinking of giving it as a gift. 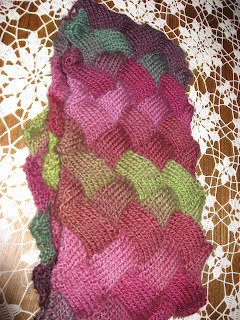 I so enjoyed making it, I decided to make another with some different yarn, a silk and wool blend. Anyway, here's a couple photos of it folded in half. I spent a good portion of today's late afternoon and evening cleaning in my studio. It just wasn't user friendly, it really wasn't friendly at all- almost bordered on surly to tell the truth. 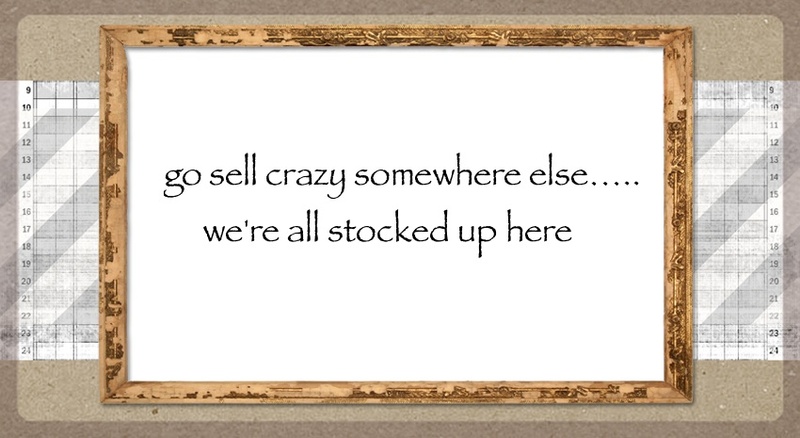 I had things that needed to be 'relocated' and reorganized. When I finish, I'll take a picture of it, and show you all where I work. 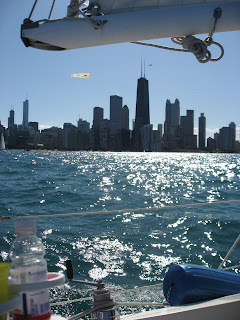 We spent Sunday on the boat- it had to be one of, if not THE, best day yet. The sun was out, it was comfortably warm and the wind was perfect. The waves were fairly large, but rolling and it was just my husband and I enjoying the day. I really like taking people out with us, but sometimes it is so nice to just be the two of us and this was one of those times.